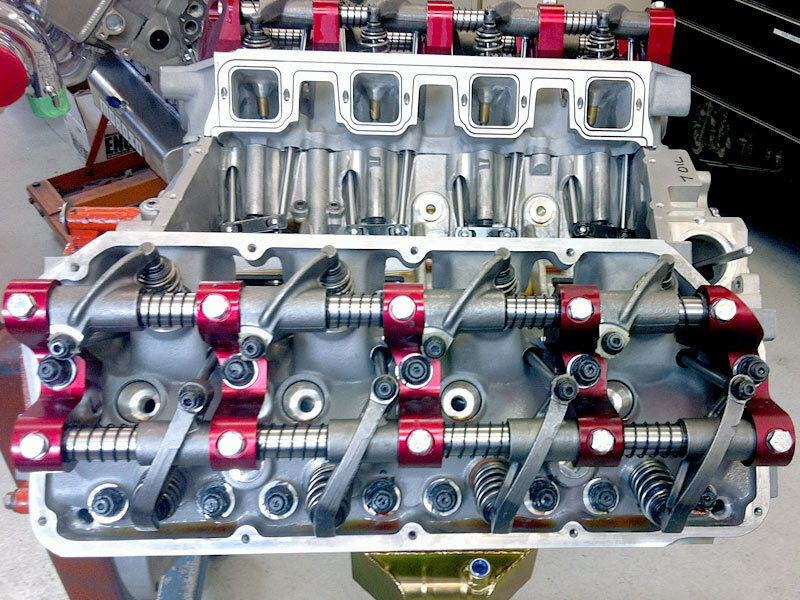 Now offering an improved HD cylinder head, as used on all FHO street hemi engines. These heads are an upgrade over the already excellent Stage V replacement models. CNC machined in house, they feature the same high efficiency ports. Designed for max street/bracket race performance, and feature OEM port sizes and are compatible with all factory components. 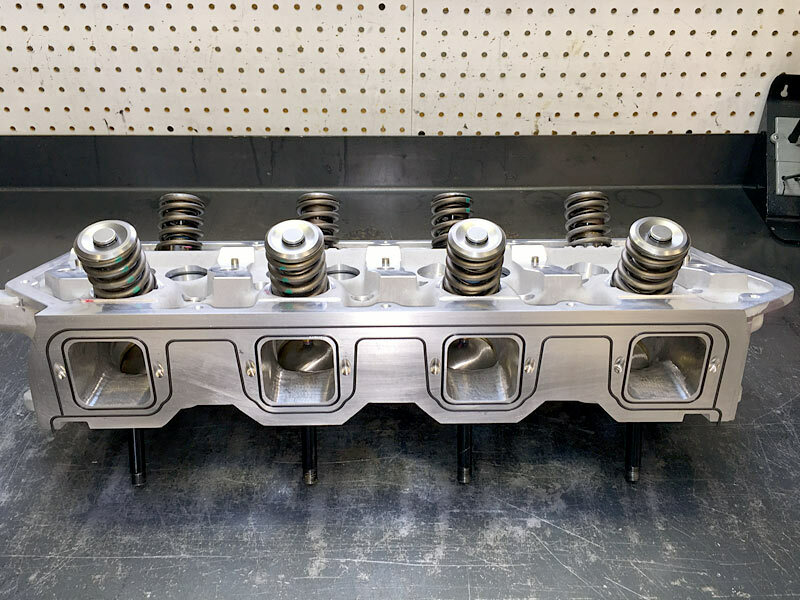 The valve seats have been upgraded to bronze alloy, for added heat dissipation, corrosion resistance, and thermal properties very similar to aluminum, further reducing the chance of cracking. The thicker intake flange is machined for Viton O-rings, which eliminates the use of intake gaskets. Leak free, but also allowing for easy removal of manifolds without the mess of scraping gaskets. Stock intake geometry is maintained. Pushrod holes are enlarged and bushed. Combustion chambers are fully polished. Bronze alloy guides are honed to size, and a full radius valve job is performed. Assembled to specs depending on final cam choice and application. 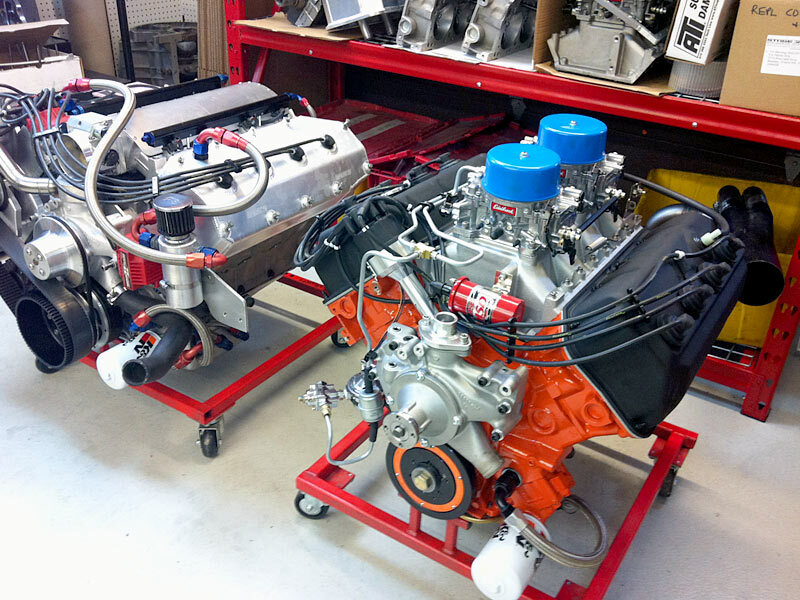 These are the most advanced street hemi heads in existence. 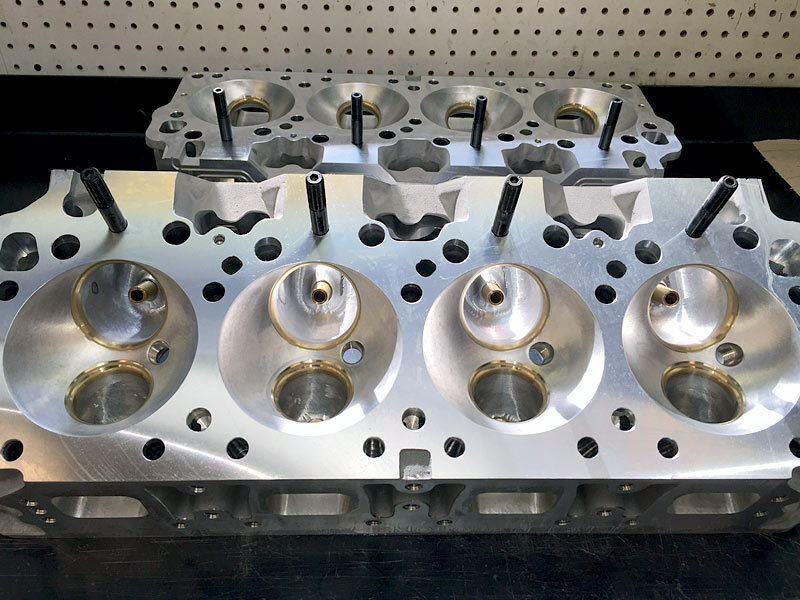 See our HEMI Head Machining page for more details. 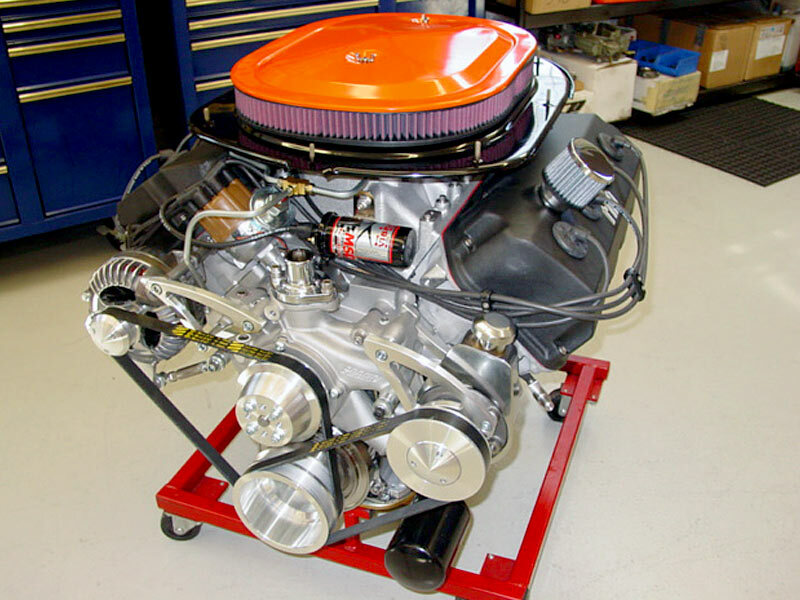 We have developed a heavy gage stamped steel base plate that allows the use of the excellent Stage V intake with Edelbrock or Carter carbs, yet retains the stock height and location of your shaker breather assembly. 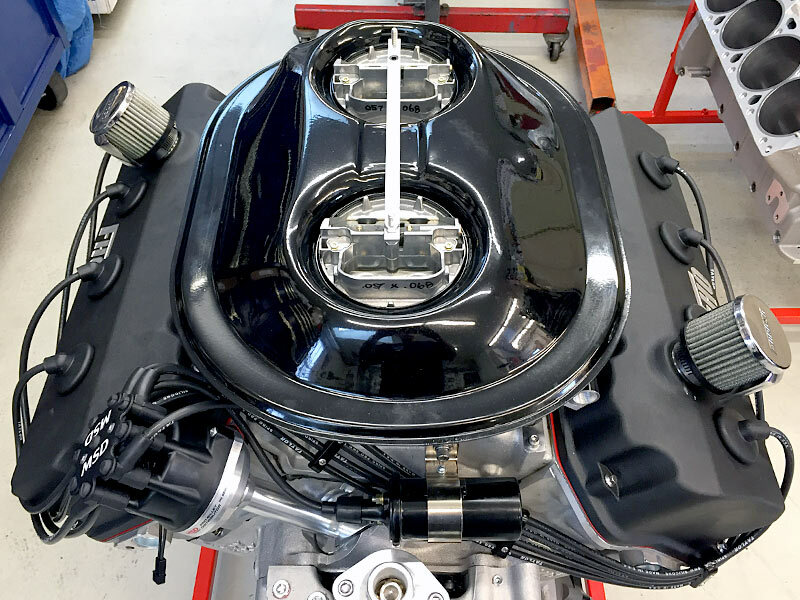 This intake has been so successful, we have added hold down brackets, lids, stock appearing fuel lines and linkage/bracket kits to our lineup. 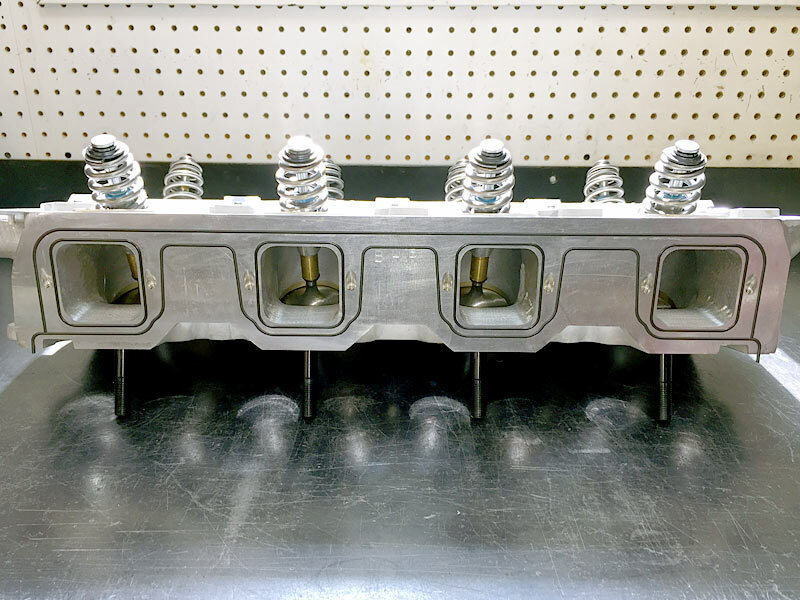 This Chrome Dome breather assembly for Stage V Inline intake manifolds has been developed to allow the use of early stock appearing round breathers on the inline spread carb intakes, either Stage V or Mopar Performance. 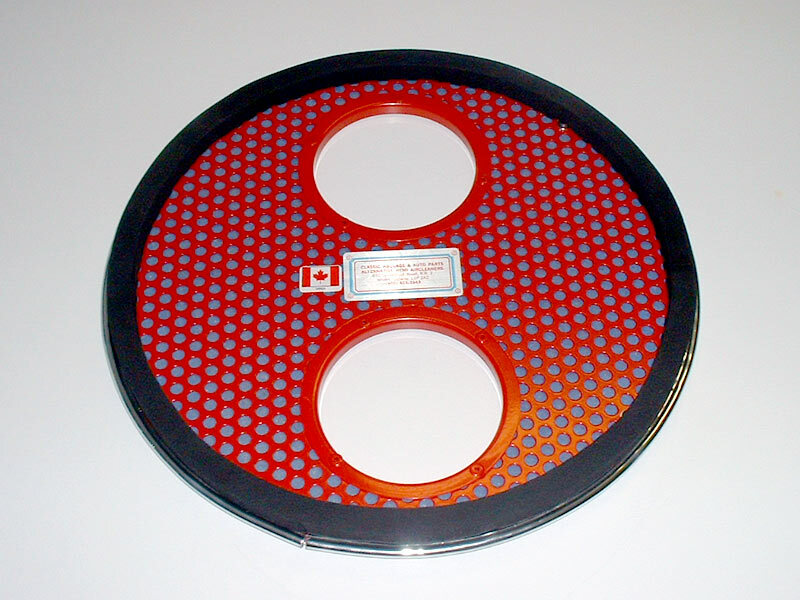 Due to space restrictions, a stock style filter cannot be used, so the base of the breather is used for filtration. Fits 66-68 street hemi vehicles. Uses same accessories as above shaker bases. 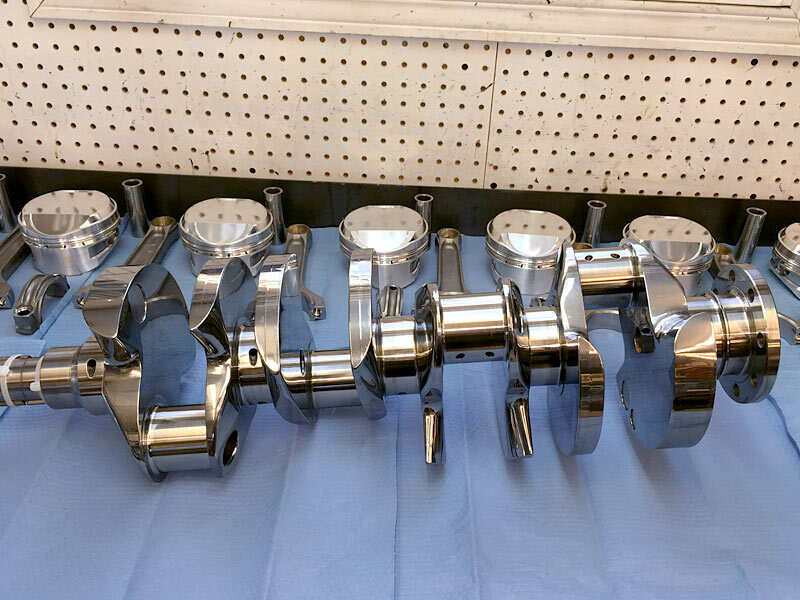 Callies custom billet stroker hemi race crankshafts. 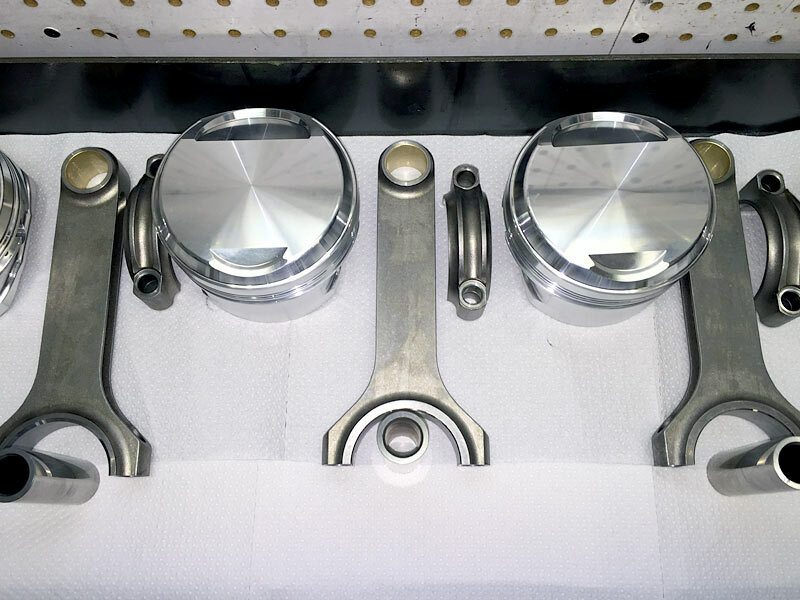 Machined to FHO specs, these cranks feature BBC journals and widths, improved oiling, profiled counterweights, and are gun drilled to reduce weight. They are available in 4.50” right up to 5.00” strokes. Anti-leak rear seal mods. Call for details.